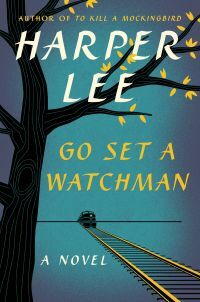 Devoid of any preconceived notions or expectations and with great anticipation, I read Harper Lee’s new novel Go Set a Watchman. I was aware of negative feedback after the book was published, but consciously chose to ignore it. I did not want to be swayed one way or the other with regard to my opinion of this novel. I really liked the story. I do not care if it was written 50 years ago or yesterday; nor do I care if it was the first draft of To Kill a Mockingbird. What I do care about, is the message contained within its pages. And the message was clear to me. I perceived the message of this novel to be one of what it means to develop a belief system of one’s own and to be willing to defend it. To me, this is a story about the coming of age of a young woman in the Deep South who has returned home after time spent in New York with a clear change in her perception of the belief systems of those she revered most. Upon returning to her home in the rural south for a vacation, after a stint in Yankee country, she sees the world she grew up in and the people living in it with new eyes. She does not like what she sees. The novel takes place in the mid-1950s when the USA was in the throes of racial tensions. Much of the story revolves around this issue and I found the dialogue enlightening. I recommend this book because I believe it is truthful and has valid life messsges for all who read it. This entry was posted in Uncategorized and tagged Alabama, Books, go set a watchman, Harper Lee, prejudice. Bookmark the permalink. Just finished reading this, I really enjoyed it too! I actually really like that To Kill a Mockingbird came out first because I went through a lot of the emotions Jean Louise did with her as she was realizing the truths behind her idyllic memories. I appreciate knowing I am not the only one who liked it! Thank you for your comment!